Expert Advisors are automated trading ‘systems’ written in the MetaQuotes Language (MQ4). An Expert Advisor executes trades on your trading account automatically. As all trades are automated and do not require human intervention this can be ideal for a trader who is looking for a ‘screen’ free trading career. They are usually written and sold by 3rd parties so you can not be sure what ‘method’ the EA is trading and certainly can’t be sure of the trading rules. Quite often EAs have some very basic trading rules but are sold as some complex algorithm. You have to be very careful with Expert Advisors. It is not unheard of EAs to perform fantastically during testing only to fail dramatically during live trading. This is usually because any unusual market behaviour will create a large loss on account. And naturally, if you had seen such a thing during testing you would be unlikely to have moved to live trading hence why the losses will most likely come during live trading. At GreatTradingStystems.com we advise you to test, test, and test again and be sure that any EA you use in live trading is fully understood as far as risk to reward ratio, profit factor, strike rate goes and that you clearly understand the risks involved. We have a list of Expert Advisors above to download for free. These have not been tested by GTS and you use them, as you do with any tools on this site at your own risk. 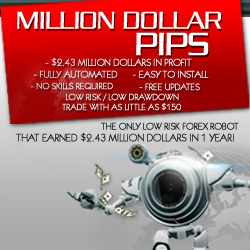 Looking to buy a forex robot? robots as a style of trading we feel that if traders are sensible to trade with real capital they are sensible enough to do due diligence with these products.